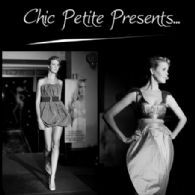 Sydney, July 14, 2011 (Global Fashion Wire) - Chic Petite Presents... introduces a four-day festival especially for creatives. Bringing together art, photography, graphic design, fashion, styling and installation in a public exhibition. The creators of Launch My Label fashion shows are combining all things creative in this four-day festival situated in an underground, industrial warehouse space dedicated to helping young creatives, Queen St Studio (2 minutes from Central Station). After the success of four fashion runway shows introducing up-and-coming designers and their collections at the quarterly Launch My Label events, Chic Petite is mixing its passion for the arts and fashion in this unpretentious event for everyone who is involved and wants to be involved in Sydney's creative industry. Chic Petite Presents... offers a positive and empowering environment for young individuals to help them reach their full potential. Chic Petite Presents... Ella Rouge, our sponsor. This underground event provides important networking opportunities for emerging raw talent in Australia whilst giving the public an open opportunity to experience behind-the-scenes of a fashion/art event, including a live fashion shoot, live body art, live model casting and advice on styling. Kicking off the four-day creative exhibition on Tuesday 26th July will be our Catwalk Launch Party. This will be a ticket only event, for everybody who appreciates and supports up-and-coming gifted individuals. The four-day creatives' exhibition is free and open to the public. Listings of live sessions will be available soon.